San Diego is both a beginning and a destination in the eyes of many people. Commuting, vacationing and livelihoods are all conducted on the highways and byways of this community. San Diego Towing is proud to be a part of the life here, and fulfilling a roll in which we can benefit all the drivers that take to our roads. 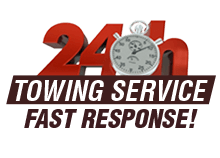 Though many people think primarily of our function as the emergency towing and roadside assistance experts in the San Diego area we have much more to offer. Our highly trained and fully certified team is committed to the highest levels of service and honest affordable pricing policies for every job we’re called on. Our team of towing technicians can help you with any towing job you have whether you need to get your vehicle towed locally or long distance. There are many reasons that San Diego Towing is the towing service that’s right for the job, but one of the biggest is our trucks. Every job is best accomplished when you have the right tools for the task at hand. Our fleet of well-maintained tow trucks makes it possible for us to provide the best towing service in San Diego. Whether you need help with a vehicle big or small we’ve got your needs covered. Light-duty towing trucks: Our small wreckers are quick to respond and easy to manage as we come to help you with a broken down vehicle or simply move a car from point A to point B. Heavy-duty towing trucks: If you’re a truck driver or a heavy vehicle operator finding a towing service that can help you out in a pinch is hard, but with San Diego Towing the answer is clear. Flatbed towing trucks: We have a number of flatbed tow trucks available at all times operated by our expert technicians. Flatbed tow trucks are the best option for moving a vehicle long distance because they add no mileage and protect the car from wear and tear as it travels with all four wheels off, but parallel to the ground. Certified and licensed by the state to provide you high-quality towing and roadside assistance. Proud to be members of the Better Business Bureau, and dedicated to maintaining our good standing there. Insured to protect you, our technicians and the work they do, as well as provide a 90-day work guarantee. Immediate response, including a 30-minute response time policy. Completely affordable and honest pricing policy, we aren’t going to kick you while you’re down. Whether you’re looking for emergency towing or you would like non-emergency help moving a vehicle or piece of property, San Diego Towing is the right company for you. Remember that attempting to tow your own vehicle can be dangerous and in some cases illegal. It is also difficult to do. With our experience we can make long distance towing much easier and safer for everyone on the roads. 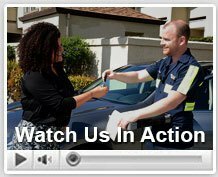 San Diego towing is available to drivers in need at any time, 24 hours a day. We make it a point to be reliable and to make your priorities our own.